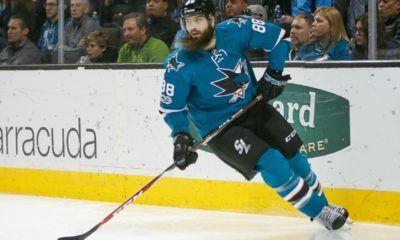 As the Lightning continue to run the league, the newest NHL team, the Vegas Golden Knights, continue to prove all doubters wrong. 34 games into the season and the Knights still don’t have double-digit defeats, with only the Lightning having less. As the Golden Knights continue to take the NHL by storm, they continue to hold the best home record, with just two regulation losses in 18 games. 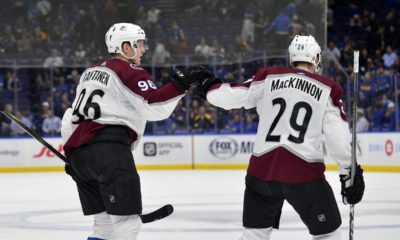 Nobody truly knows how the season may end for the Golden Knights, but for the time being, this is a true contender and a team that nobody will want to face as the season gets older. Here are this week’s power rankings! This is one of the hotter teams in the NHL, winning seven of their last nine and also going 4-0 last week. Even with all the injuries to their offensive weapons, it has been the goaltending on Tukka Rask keeping them afloat in the East. Rask has given up just four goals in his last three starts in wins over Columbus, Detroit and Winnipeg. The Bruins will return from Christmas break with games against the Senators, at the Capitals, and then on the road in Ottawa. The Jets have hit a bit of a road block, losing four of their last six, including going 1-2 last week. The inconsistent scoring has been an issue lately, as the Jets have scored 10 goals in their last two wins, but only four in their last four losses. The Jets will look to get back on track this week, with two games against the Oilers and a game against the Islanders in the middle. Columbus has split wins and losses for the past two-to-three weeks, going 2-2 last week. The Jackets need to get goaltender Sergie Bobrovsky back on track, as he is 1-3 in his past four starts and has given up seven goals in a game twice in the last two weeks. Columbus will have a three-game week against the Penguins, Senators and Lightning. After winning eight of their last nine, the Capitals lost two-straight and went 1-2 last week. In their last 12 wins, the Capitals have scored at least three goals, but in their last six losses they have failed to score three. The Capitals will look to put the puck in the net this week, as they take on the Rangers, Bruins and Devils. The Blues continue to struggle without Jaden Schwartz as they are 2-5 in their last 7 and went 1-2 last week. Without Schwartz the offense has sputtered, failing to score over 3 goals in their last 8 games. The Blues will look to get on track in a tough week as they take on the Predators, Stars, and Hurricanes. Nashville struggled for the first time this year, losing all three games last week. The goaltending was a bit of a disaster, as Rinne gave up ten goals in two games and Saros gave up four in the other loss. 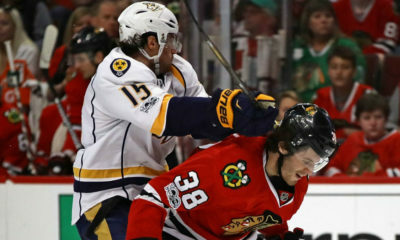 The Predators will try to right the ship this week, as they take on the Blues and Wild twice. The Devils had a splendid week, going 3-0, and they are now on a four-game win streak. During the win streak, the Devils have scored 18 goals, as the offense continues to hum from all four lines. The Devils will look to stay hot in this cold time of the year, as they take on the Red Wings, Sabres and Capitals this week. The Kings continue to chug along, as they went 2-1 last week. Jonathan Quick got back on track after losing back-to-back games, giving up just four goals in three games last week. The Kings will have just a two-game week, as they take on the Golden Knights and Canucks. Just when we thought nobody could beat the Lightning, the Golden Knights went on and did it, as they had a perfect 2-0 week and have won four in a row. 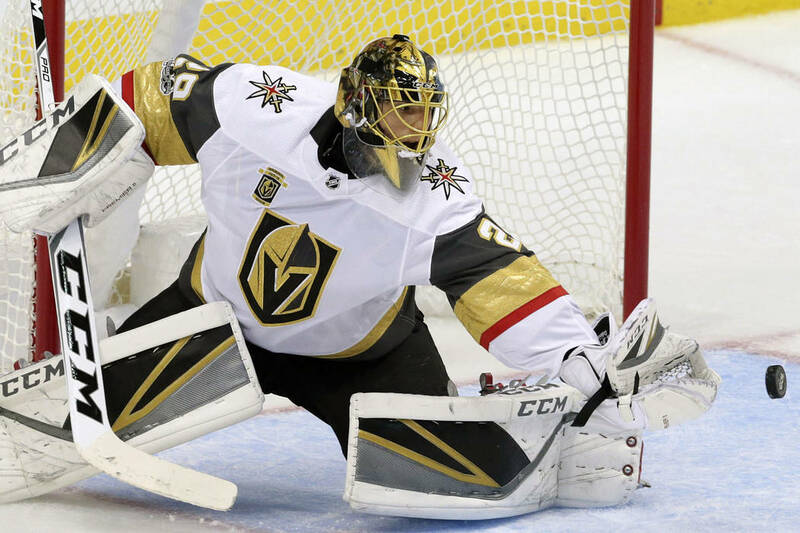 Having goaltender Marc-Andre Fleury back has been a welcoming, as he has given up just six goals in four games and is 3-1 since returning from his concussion. The Golden Knights will look to stay hot as they take on the Ducks, Kings and Maple Leafs this week. Another week, another #1 ranking for the Lightning. The Lightning went 2-1 last week, with that small slip up coming at the hands of the Knights. 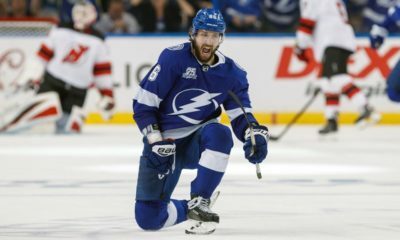 The Lightning do it in multiple ways, as goaltender Andrei Vasilesvkiy has a shutout in consecutive weeks, but the offense has scored at least three goals in the past ten games. The Lightning will look to keep putting the pedal to the metal as they take on the Canadiens, Flyers and Blue Jackets this week. NHL Power Rankings: Lightning #1, but Who’s #2?